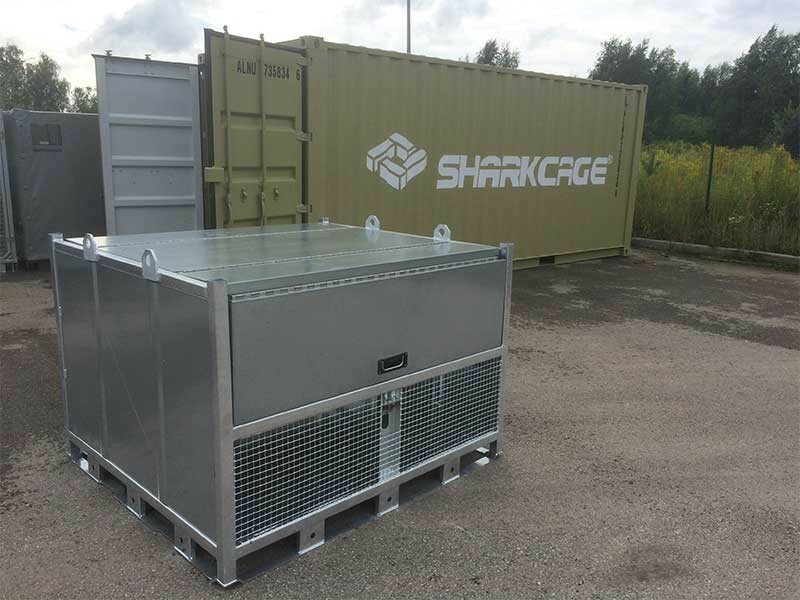 Since 2017 we work with SHARKCAGE, a company focussed solely on military logistic equipment. 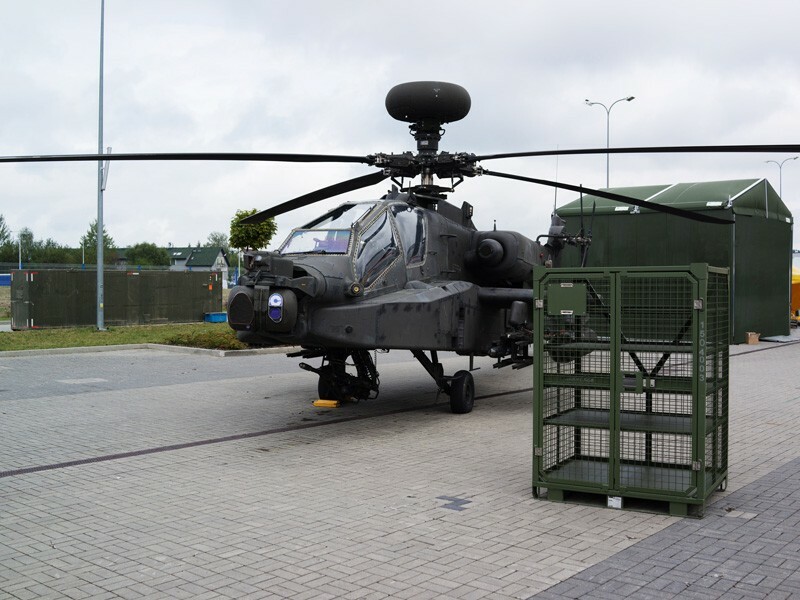 They have developed unique logistic solutions to ensure warfighters are ready to deploy within hours. SHARKCAGE has been working closely with the US Military and NATO forces since 1998. 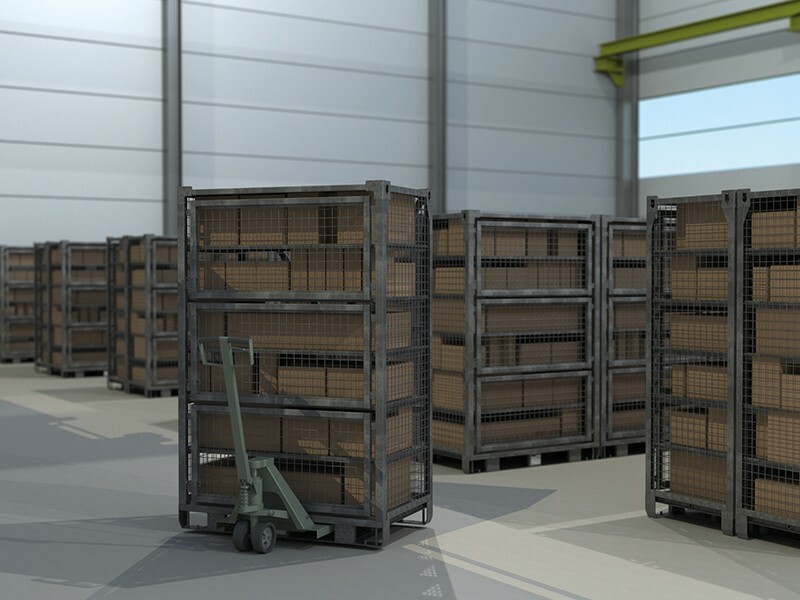 Through innovative product development, extensive testing, and customer feedback from military operations, they have created products that solve a broad spectrum of logistic challenges. It is more important than ever before that warfighters have the ability to react quickly to crises and conflicts all over the world. 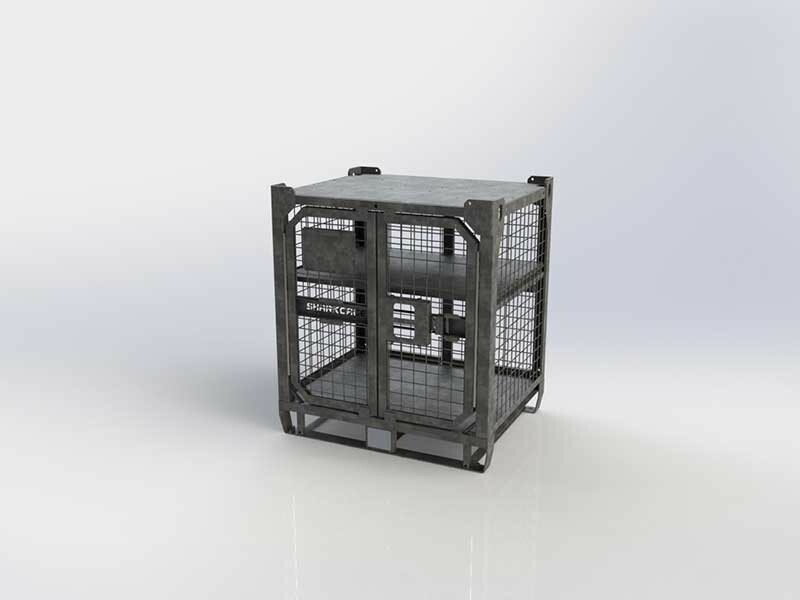 SHARKCAGE products are developed to interface between storage, transport and operation, and give customers the necessary flexibility to reduce load out times, transition rapidly, and increase material security. 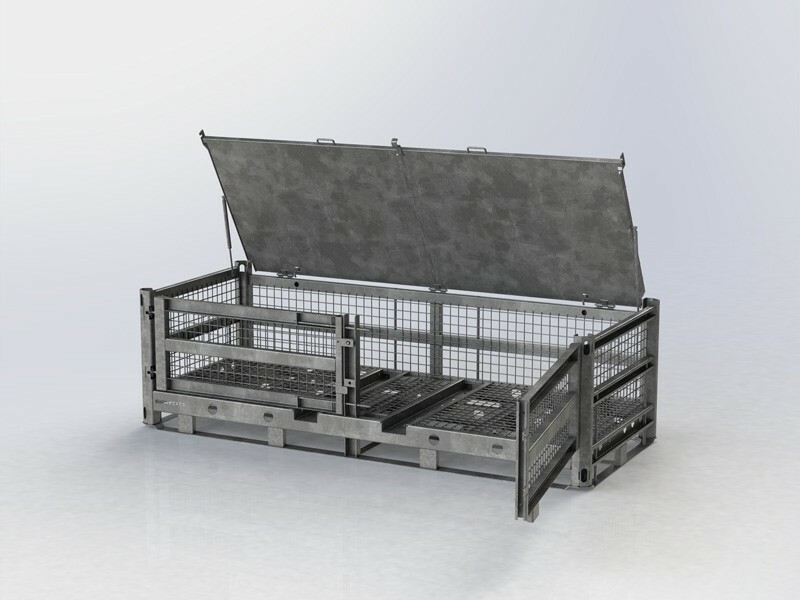 With SHARKCAGE storage products, military units are always ready to deploy. 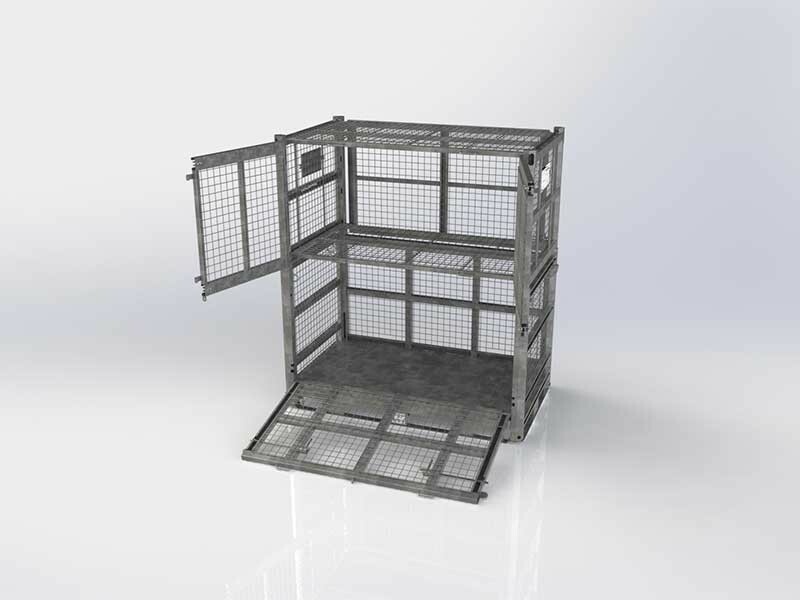 THE ORIGINAL has a collapsible design, with panels on both sides that are detached when accessing equipment in the cage. Each panel is locked individually with a standard padlock. 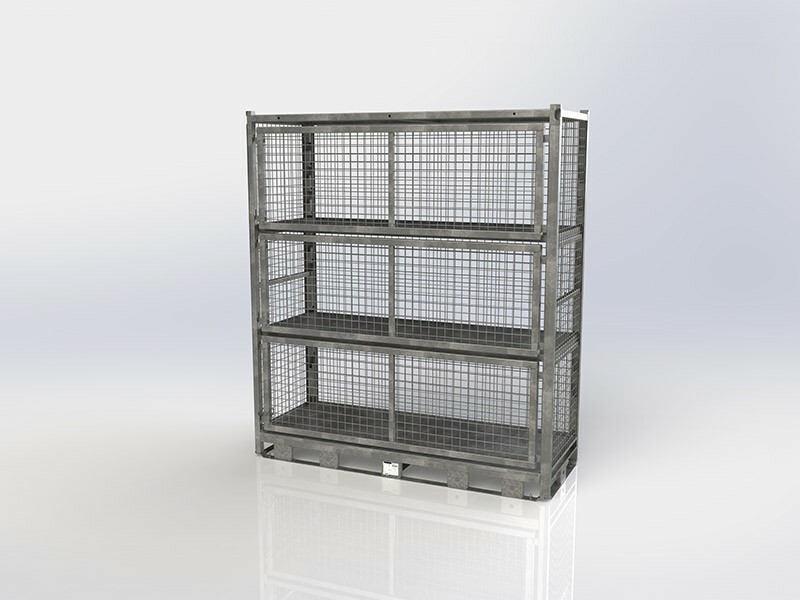 The cage has multiple shelf positions. Perfect for longer items. Fits four in a ISO 20 foot container. 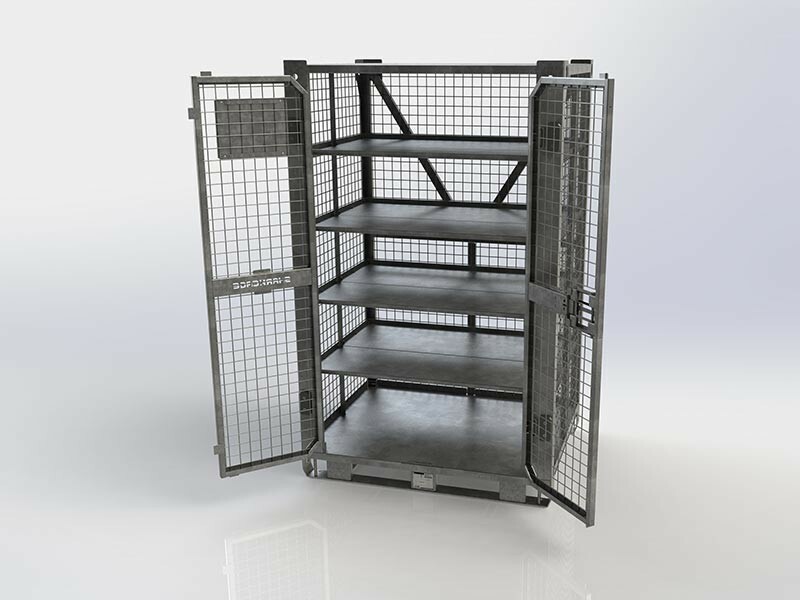 The BEAST has large double doors, flexible shelf positions and heavy duty plated shelves. Ideal for everyday access to tools, spare parts and heavy items. The OMNI has double doors secured by one standard padlock. 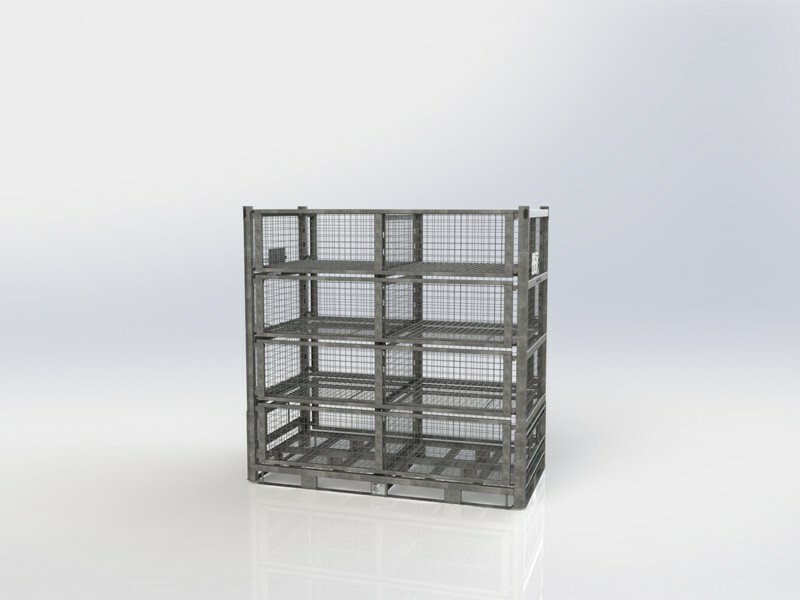 Each shelf level is made up of two half-depth shelves. 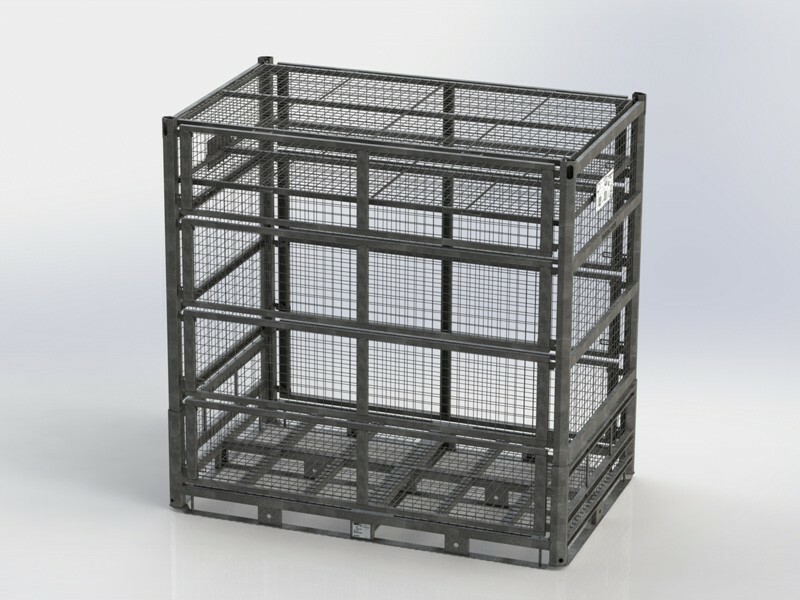 The unique design ensures high capacity to weight ratio and maximum internal to external volume. 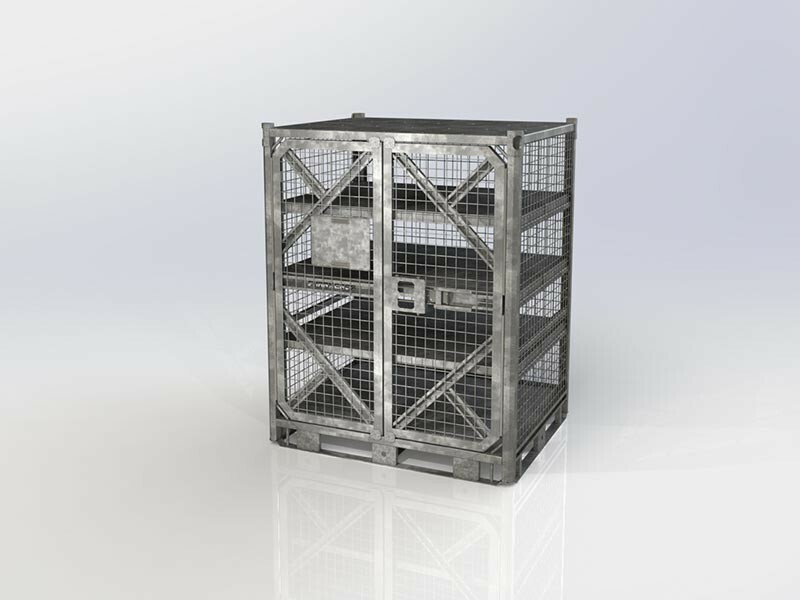 The QUAD LOCKER has four individually lockable compartments with hinged doors. Available with optional plated side and back. 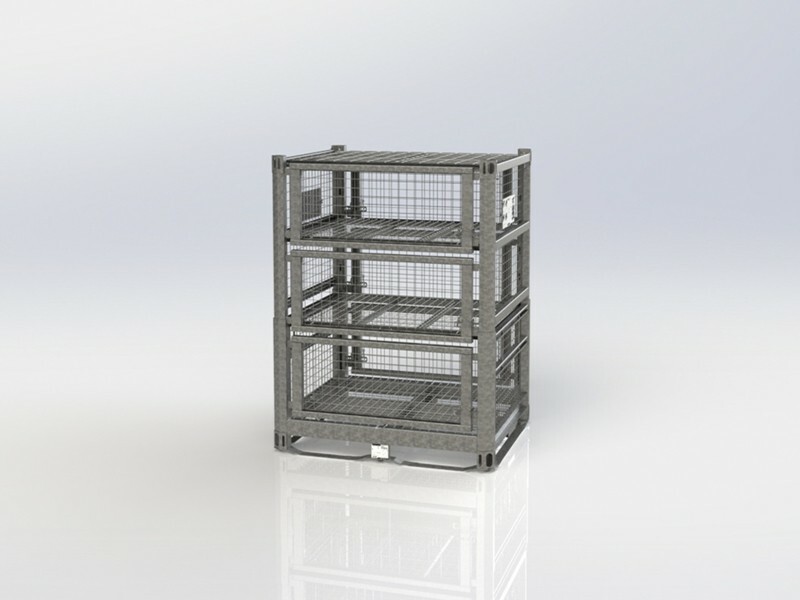 Add blocking and bracing kit to set up identically to the SLIM in a container, with the center aisle of the container accessible. The SLIM has three panels and two shelves included. 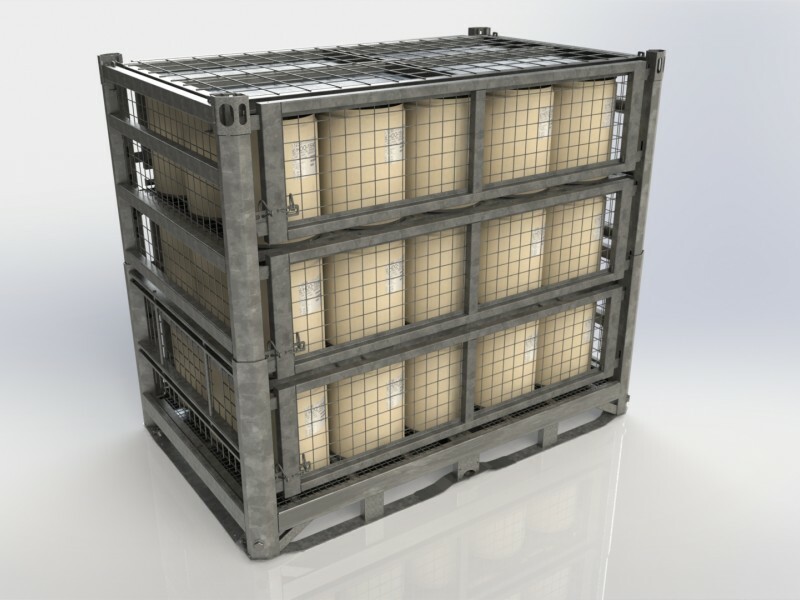 With the block and brace kit, the SLIM turns a standard 20ft container into a transportable warehouse with open center aisle. 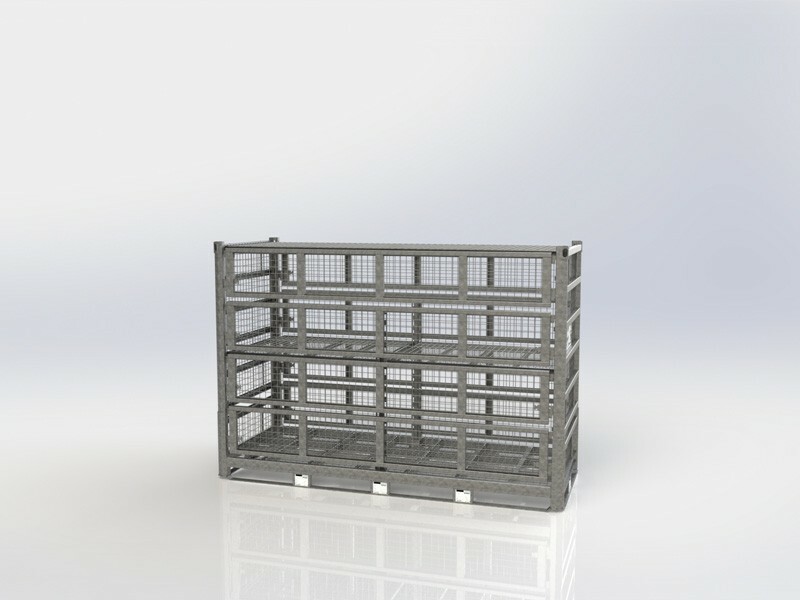 The MODULE has one large compartment with an optional shelf. 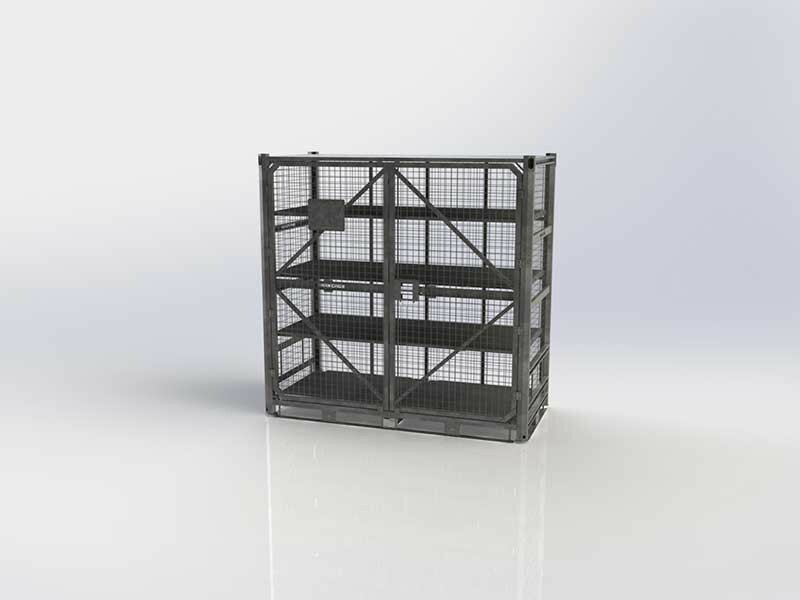 It fits well into TRICON container and can be set up similarly to the SLIM, with center aisle open in a 20ft container, by adding the blocking and bracing kit. Fit 12 ea in a TRICON and 24 ea in 20ft with center aisle open. 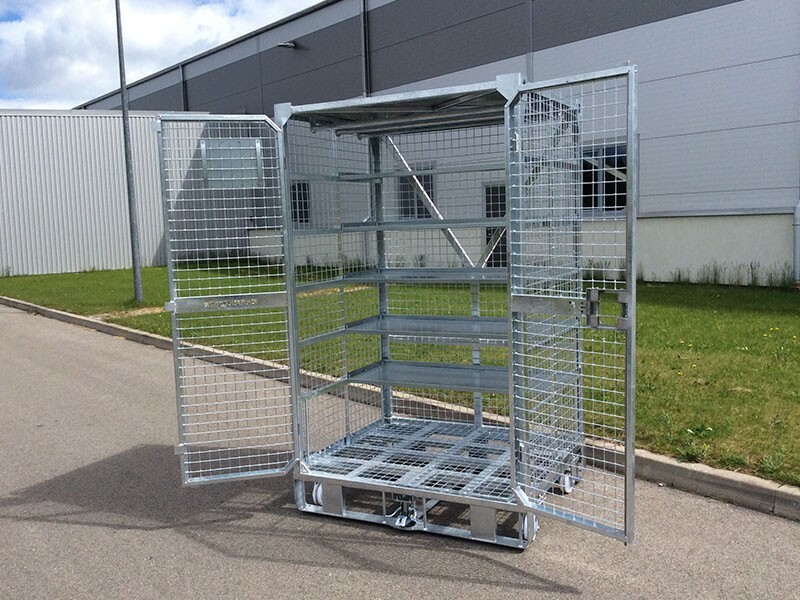 Designed to simplify loading and securing of large bulk items like tents, pickets, supplies, diving gear and spare parts. 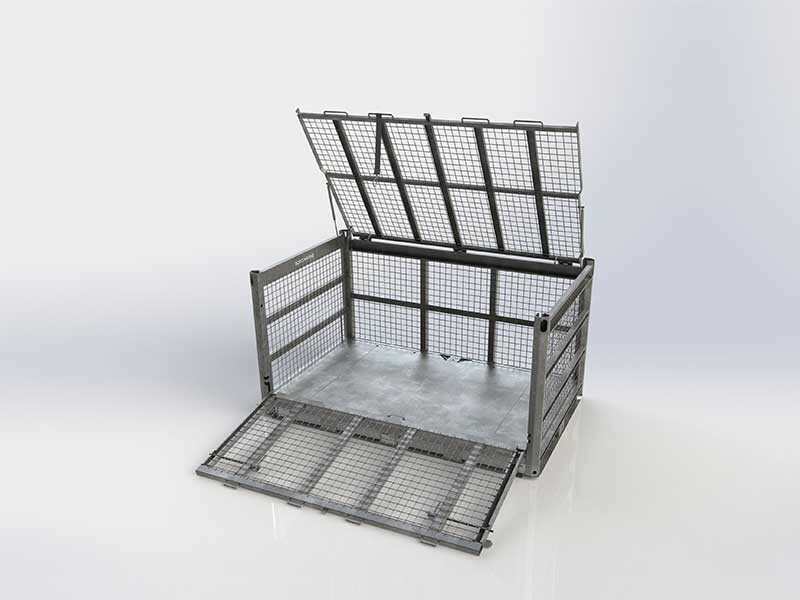 The HAWK has a gas spring assisted top lid and a detachable front gate that are secured with one standard padlock. 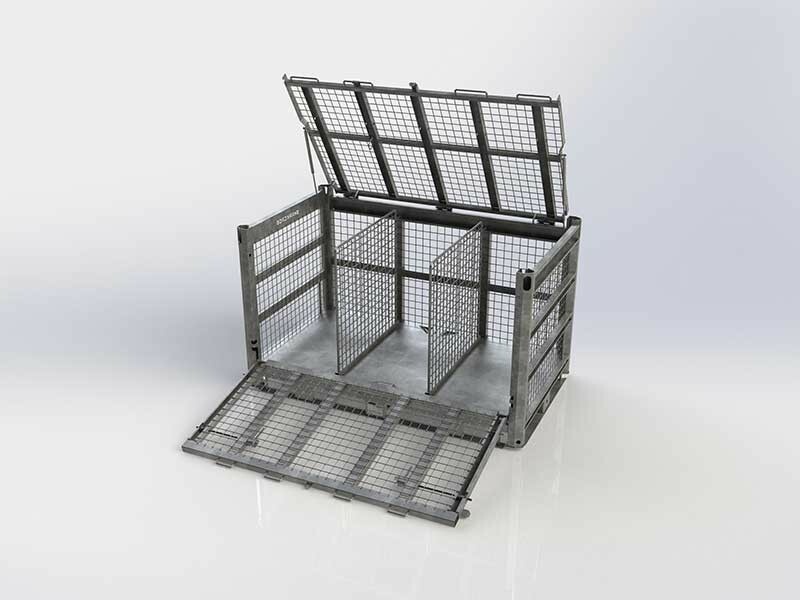 Several accessories including dividers and cable holders are available. 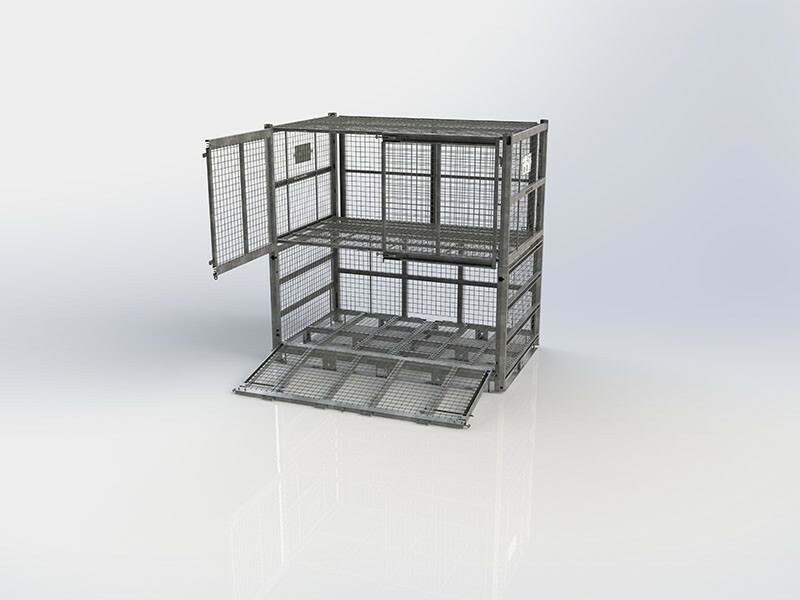 The gate can be used to roll tents or covers into the cage, or to simplify walking into the cage when stacking equipment. The EAGLE has hinged front doors, divided by the center door post. 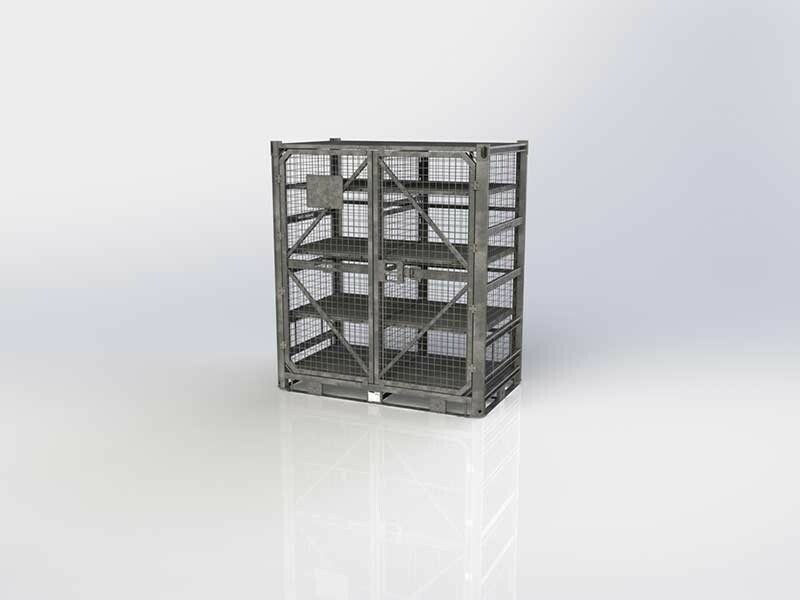 The capacity of 7,000 lbs and stacking of up to seven-high make this cage ideal for heavier items. 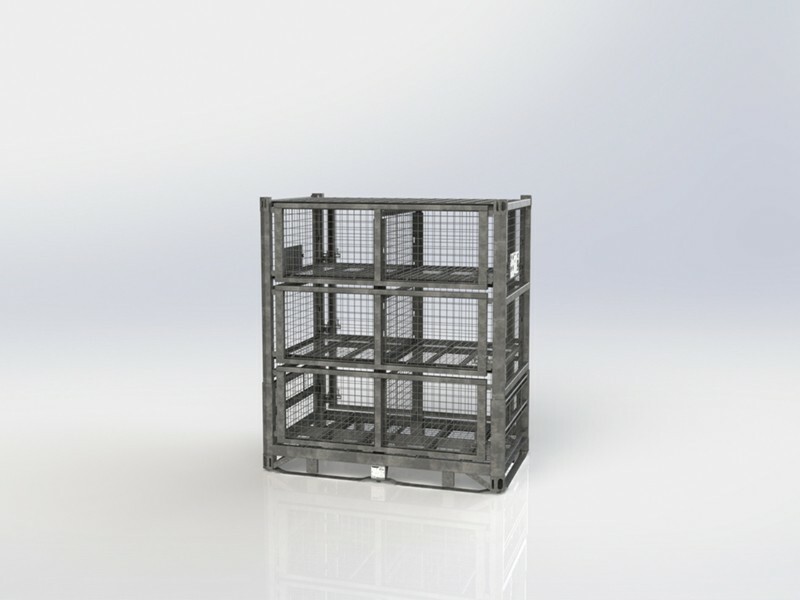 Forklift pockets inside the compartment allow forklift loading and unloading without the need for a pallet. Optional gas spring assisted top lid available. 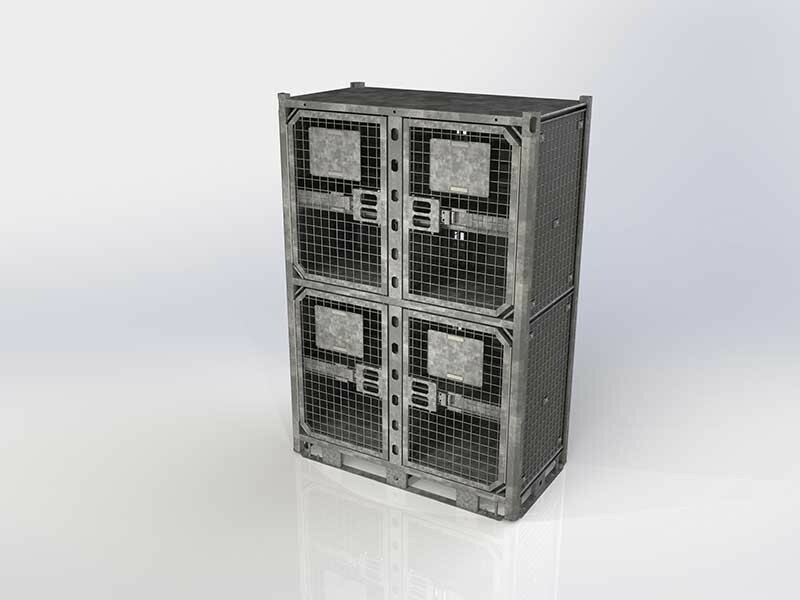 The FALCON has double-hinged panels on each side to enable access from top and side, when floor height is at a premium. For more information, a technical proposal or a financial offer, please contact MSS Defence through our contact webpage. We’re more than happy to assist.